Ambiente 2015, one of the largest consumer goods trade fairs in the world, will take place in Frankfurt from Feb. 13 until 17 this year. If you have a chance to attend, stop by Hall 10.1 foyer to see the latest Vietnamese handicraft products selected from the Sustainable Design Project organized by CBI, Vietcraft, CCS and coordinated by Irene Vermeulen from Craft Curator. The products showcased in the foyer are the fruits of the collaboration between 10 Vietnamese exporters and three designers from France and Sweden. The project commits to bring contemporary design and principles of sustainability to the craft industry of Vietnam. As one of the three designers selected to work on this project, I designed a range of light cement outdoor planters for Anchi and spun bamboo tablewares for Lacquerworld. 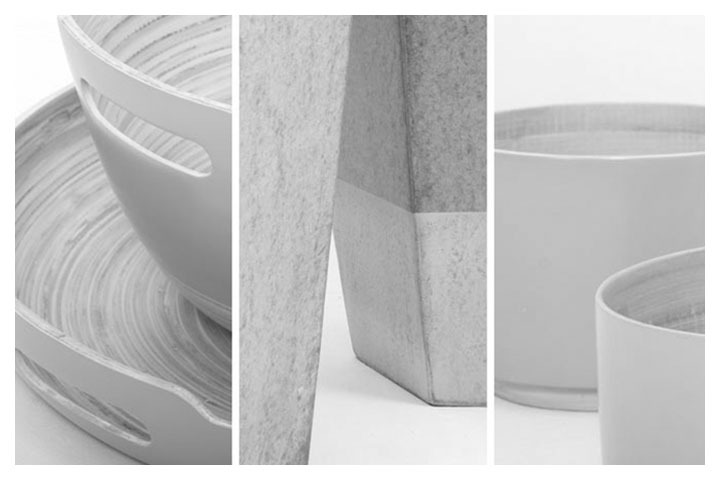 Both collections will be presented at Hall 10.1 foyer at Ambiente. I was also comissioned as the photographer of the project ; click to sneak a preview of all collections on Craft Curator Website.